Heat reflective paint for Rooftop of terraces, industrial sheds, buildings, Polycarbonate sheets, GI sheets, SS, Sheets, Asbestos Sheets & etc. UGAM INSULMIX FOR Rooftopvery much useful to reduce interior temperature of your home or premises by10 degrees C in peak summer. This helps toreduce energy bills by around 15 percent when applied to the roof of central air-conditioned space. This coating is also used as waterproofing coating. If applied both interior and exterior, energy saving is noted up to 40 percent. Product having Thermal insulation, Water proof and elastomeric properties. 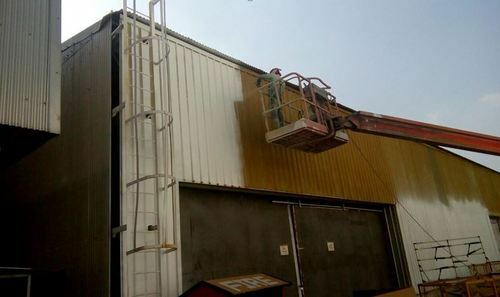 It is used for exterior coating of Roof Top of Buildings, Concrete, Terraces, Asbestos sheets, Industrial Sheds, and places requiring thermal insulation and waterproofing. 3) UGAMINSULMIX is Tested & Certified for ACCELERATED WEATHERINGby Government of India's National Test House Mumbai. 4) UGAMINSULMIX is Tested & Certified for VOC CONTENT ANALYSIS fromSpectro Analytical Labs Limited. 22) M/s Apollo Tyres Ltd Limda Plant – Gujarat & Many More. Still intact & thereis no complaint received. UGAM INSULMIX HEAT REFLECTIVE PAINT FOR ROOFTOP OF TERRACE, WALL, CONCRETE AND R.C.C. 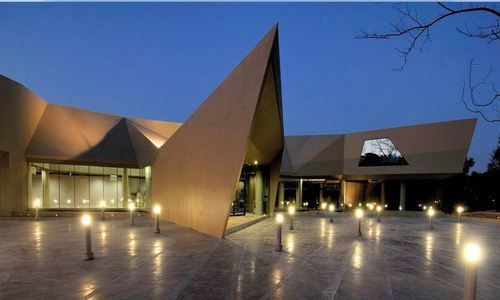 3) UGAM INSULMIX is Tested & Certified for ACCELERATED WEATHERING by Government of India's National Test House Mumbai. 4) UGAM INSULMIX is Tested & Certified for VOC CONTENT ANALYSIS from Spectro Analytical Labs Limited. 3) Ugam Insulmix is Elastomeric Thermal Insulation and Water proof coating. After curing it forms heat barrier, flexible, and strong film which bridges cracks, prevents peeling, future cracks, growth of algae or fungi. It prevents water seepage and is U. V. resistant. 4) Ugam Insulmix is the only product which takes the care of radiation. 5) UGAM INSULMIX is tested at V. J. T. I. Mumbai, National Coating Corporation Callifornia, and other laboratories in U. S. we strictly follow A S T M standards and our products are guaranteed against manufacturing defects. 6) The paint contains Imported Ceramic Microspheres which are used by N A S A for making tiles to cover space shuttles for thermal insulation and which are hollow and having vacuum inside. 7) These microspheres reduce the heat generation due to radiation considerably and also help reducing conduction and convection. 8) Being ceramic, they are inert and do not take part in any reaction with paint. 9) These microspheres are dispersed in water base acrylic latex paint to achieve the weather resistance, U V Resistance, total waterproofing effect and getting the elastomeric effect. 10) Being elastomeric it takes the care of expansion and contraction of the surface on which it is applied. Also after application of this, any conventional waterproofing is not required to the building. 11) Since it is always visible on the top, any damage to it due to drilling, hammering or chipping can be repaired there only. 12) Acrylic latex and special type of additives makes the coating very hard to take the wear and tear of the terraces easily. 13) On a bare concrete terrace, it’s application has shown the difference of 20 deg. Celsius checked with infrared thermometer at 2.30pm. 14) If applied externally to the buildings having central air conditioning the energy costs are reduced by minimum of 15% per month. 15) In some cases where the application is done both interior and exterior, 40% saving is achieved. Hence ideal saving can be achieved just by applying Ugam Insulmix paint. 16) In cases where heavily leaking roofs were coated with UGAM INSULMIX and the roofs now show no sign of any leaks. 17) Also since it can be manufactured in any shade, it is ideal for exterior surfaces as well as smoother version is available for interior use as finish coat. 18) Hence UGAM INSULMIX is one coating, which works as exterior/interior paint, U V Resistant coating, waterproofing and most importantly thermal insulation coating and eliminates conventional waterproofing, and thermal insulation of the building. 1) Ugam Insulmix is designed for use on almost all surfaces. Exterior R.C.C. surface, Cement surfaces, Asbestos sheets, mobile houses, Industrial andCommercial facilities, Special application in defense, cold storage, automobiles, and places requiring thermal insulation and waterproofing. UGAM INSULMIX HR SYSTEM FOR INDUSTRIAL SHEDS OF MS,GI AND ASBESTOS. 1) Ugam Insulmix HR is Elastomeric Thermal Insulation and Water proof coating. After curing it forms heat barrier, flexible, and strong film which bridges cracks, prevents peeling, future cracks, growth of algae or fungi. It prevents water seepage and is U. V. resistant. 2) Ugam Insulmix HR is tested at V. J. T. I. Mumbai, National Coating Corporation Callifornia, and other laboratories in U. S. we strictly follow A S T M standards and our products are guaranteed against manufacturing defects. 1) Ugam Insulmix HR is designed for use on almost all surfaces. Exterior R.C.C. surface, Cement surfaces, Asbestos sheets, G.I. sheets, Galvalum sheets, Stone walls, Sloping roofs, wood, plastic, for ovens and furnaces, freezer vans, mobile houses, Industrial and Commercial facilities, Special application in defense, cold storage, automobiles, and places requiring thermal insulation and waterproofing. 1) Reduction of electricity cost by upto 40%. Ugam Insulmix HR helps to block transfer of heat inward when applied to exterior of walls and outward when applied to interior of walls. For maximum electricity savings in air conditioned buildings, we recommend doing both! 2) Hence Ugam Insulmix HR is one coating, which works as exterior/interior paint, U V Resistant coating, waterproofing and most importantly thermal insulation coating and eliminates conventional waterproofing, and thermal insulation of the building. Ugam Insulmix P U is Elastomeric Thermal Insulation and Water proof coating. After curing it forms heat barrier, flexible, and strong film which bridges cracks, prevents peeling, future cracks, growth of algae or fungi. It prevents water seepage and is U. V. resistant. Ugam Insulmix P U is designed for use on almost all surfaces. Exterior R.C.C. surface, Terraces, Cement surfaces, Asbestos sheets, G.I. 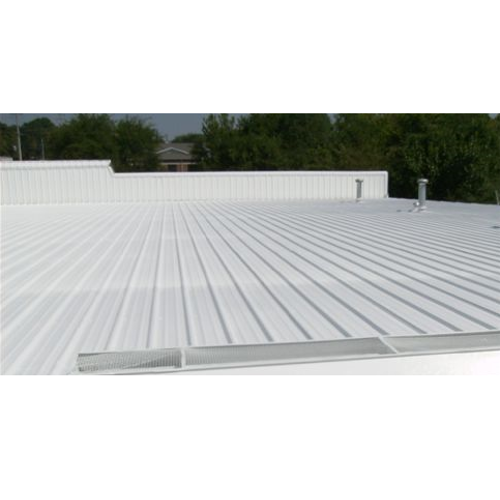 sheets, Galvalum sheets, Polycarbonate sheets, Stone walls, Sloping roofs, wood, plastic, etc. 1. Gives thermal insulation to surface over which it is applied. 2. Posses elastomeric effect which bridges existing gaps up to 0.5mm and prevents further cracking. 3. Controls thermal expansion and contraction of the surface and prevents surface movements thereby reducing the possibilities of development of cracks. 4. If applied to building having central A/c., electricity bills can be reduced up to 40%. 5. Being water proof, stops all minor leakages to terraces and walls permanently. 6. Has excellent alkali resistance and U V resistance. 7. Can be supplied in any shade on order. Proper surface preparation is must for better product performance. Surface Preparation – Surface should be cleaned properly, removing all loose particles, preferably by sand blasting. Then the surface should be treated with acid and alkali cleaning and phosphating. Then UGAM METAL P U PRIMER FOR INSULMIX should be applied with proper hardener mixing. Twelve hours curing should be allowed at room temperature. 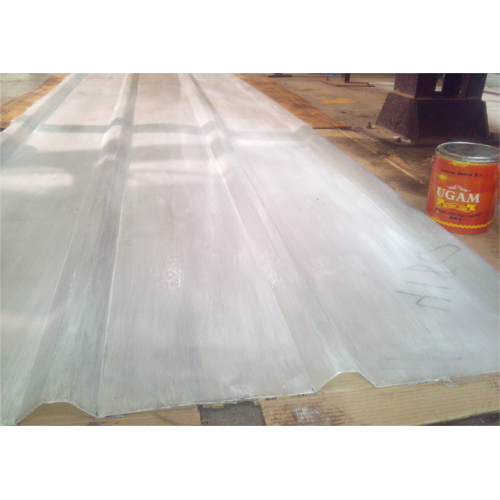 Then UGAM INSULMIX P U should be applied in three to four coats in such a way that the final film thickness exceeds 250 microns. The interval between coats should be minimum six hours. Now the surface will be ready for thermal insulation. 1) Elastomeric Heat Resistant Coating / Ugam PUPVC Elastotherm Coating. 2) Ugam PUPVC Elastotherm Coating are used as air drying under body coatings and coatings where very high corrosion resistant is required. 3) These are also Acid and Alcoholic resistant upto 30% concentration. 4) These are latest development, high tech products used specifically for Anti corrosive properties upto 200oCelsius temperature. Looking for “Heat Reflective Paint”?